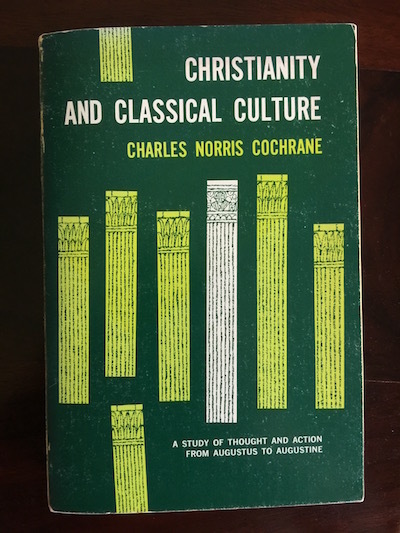 I mentioned in my previous post that I've been re-reading Charles Norris Cochrane's Christianity and Classical Culture, but I'm doing so in some perplexity. Here's my copy of the beautiful Liberty Fund reissue of the book, with its perfectly sewn binding and creamy thick paper (available, you should know, at a ridiculously low price: any other publisher would charge three times as much). 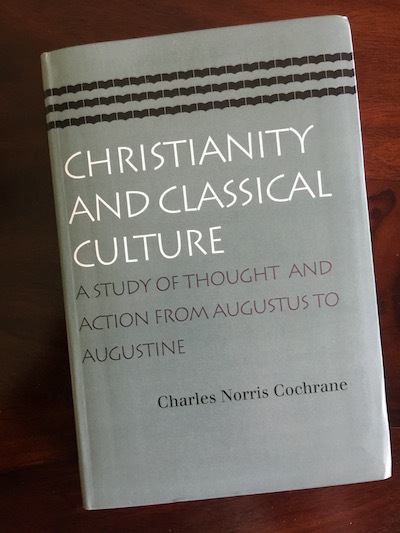 It is a pleasure to hold and to read, a wonderful exercise in the art of book-making (with some nice apparatus as well, especially the appendix with translations of some phrases Cochrane left untranslated). I am having a great deal of difficulty making this decision. 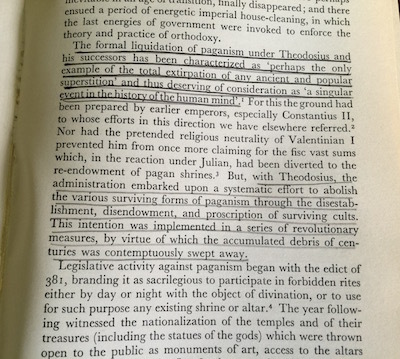 I read and annotated 150 pages in the new edition, and then went back to the old one, and am now wavering again. What a curious dilemma. Mine, though, usually involves rolling my eyes at the marginal comments I made years past. Give yourself a fresh reading in a new book unbiased by old (or inane) comments. Think of it as a new canvas. Until then: I'm with John. Switch over now -- in part so you can spare your old copy further wear and keep it accessible/readable longer.